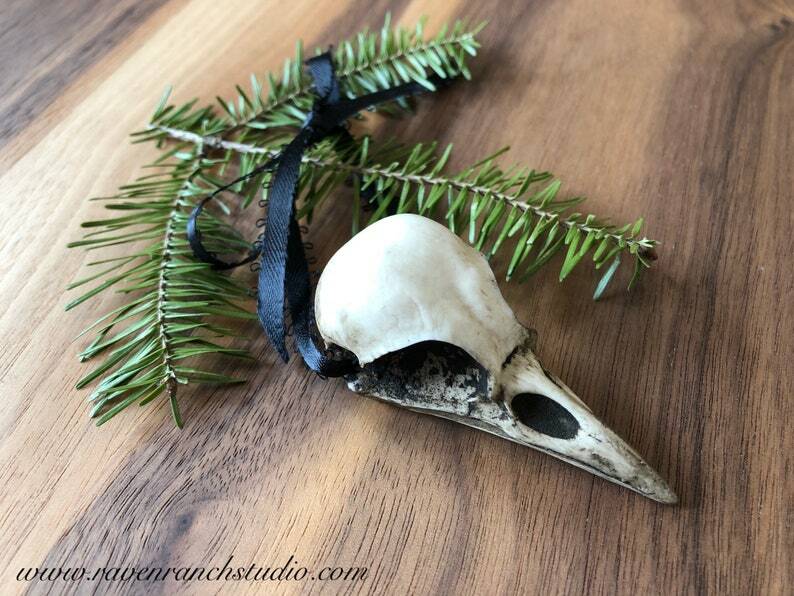 This listing is for 1 faux crow skull ornament. Cast of durable urethane resin from a real crow skull. Looks just like the real thing. Display it on your Christmas tree, in your office, in your car, in your dorm room, or anywhere you want to show off your unique holiday style. These are hand made, lightly sanded, and painted to get an aged finish look. Due to the nature of handmade work, there might be a slight variation with each item. 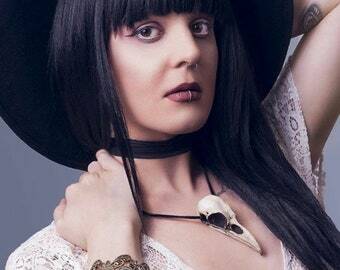 Each ornament comes ready to hang with a beautiful black scalloped edge ribbon looped through the top of the skull replica. The bird ornament made a perfect Christmas gift and was exactly as described. Seller was easy to communicate with and shipped quickly so it arrived when I needed it. Thanks! So thrilled with this skull. It looks and feels incredibly realistic, so well made and super fast shipping.